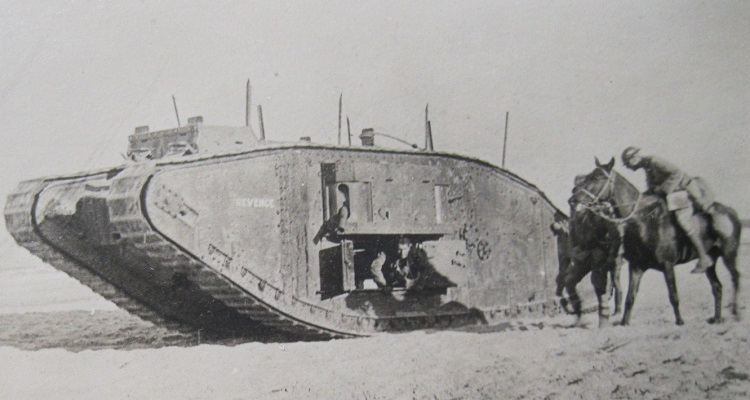 In December 1916 eight Mark I tanks, four male and four female, which had been refurbished at a factory and then sent down to their new home at Bovington in Dorset, were earmarked to go to Palestine as a detachment of E Battalion, commanded by Major Norman Nutt. They sailed from Avonmouth in His Majesty’s Transport Euripides and were landed in Egypt to proceed to Palestine by rail. First of course they had to give the obligatory demonstration of their prowess at Gilban, on the north side of the Suez Canal, mainly for curious officers since these were the first tanks ever to be seen in that part of the world. They then travelled on to Khan Yunus about fifteen miles south of Gaza City. Some sources give the impression that these were old instructional tanks shipped out by mistake, but since the Mark I was the only fighting tank available at the time, it was inevitable that they were sent. The devastated remains of War Baby a female tank that was struck by artillery and destroyed. Even so they arrived just too late to take part in the original offensive against Gaza which was scheduled to take place in March. Gaza is probably the oldest city in the world, at least the oldest still with a growing population, although it was demolished and rebuilt quite a few times. In 1917 it was well defended by the Turks who proved to be formidable in opposition, especially in defence, although it was hoped that a few tanks would unnerve them. 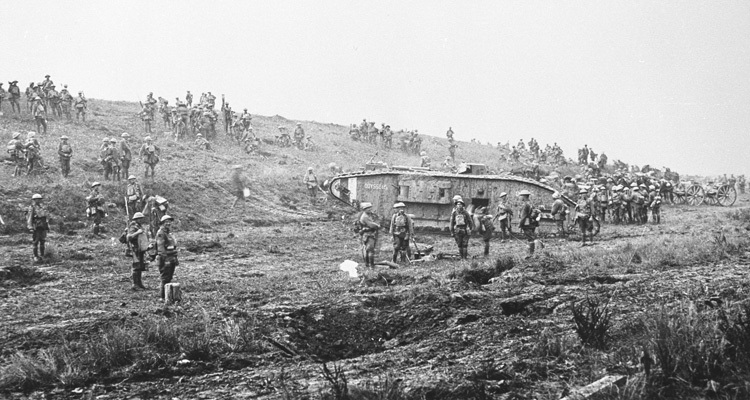 Since the first battle failed it was decided to launch a second one, in which tanks could take part. It was scheduled to begin on 17th April with six tanks taking part, although four were not required. Of the other two, one completed all the tasks it was asked to do, while the other was struck by artillery fire and effectively destroyed. The Turks were not all as panic stricken as they were expected to be. The British Army in Palestine was commanded by General Sir Archibald Murray, who was probably not ruthless enough. While senior officers, like their kind everywhere thought that they knew how tanks should operate, even though they’d never seen one before. In the event the attack was called off, just when it looked as if the Turks were ready to give up as well. The battle was resumed on April 19th and the surviving seven tanks all took part. They were given numerous other duties to perform in addition to fighting, for instance delivering things to various points. 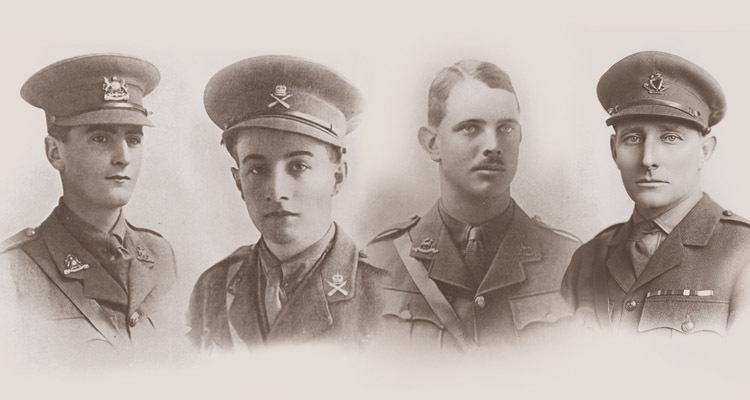 Of the seven tanks, one fell into a gully, another was destroyed by a direct hits from a field gun while a third, breaking one of its tracks, was caught in a redoubt, afterwards named ‘tank redoubt, with some British infantry and were all captured by the Turks. There were some successful actions too, but the battle was called off and written off as another failure. The Turks proved to be tenacious defenders, not unduly spooked by the tanks although they’d never encountered them before. 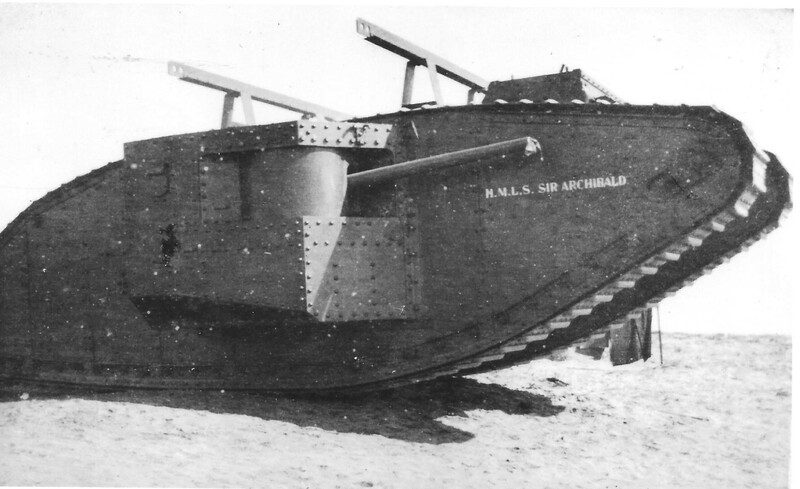 The Mark I male tank Sir Archibald the girders on top are used for removing the sponsons when required. The tanks encountered one problem which had not been foreseen. This was that the grease used to lubricate the tracks, and the track rollers, combined with the sand to make a sort of paste which not only clogged them up but acted as a grinding paste, wearing away at the metal. One suggestion, put forward by the commanding officer, was that the tanks should run without any grease, allowing the dry sand to provide its own lubrication, but whether it was actually tried or not we don’t know. What became known as the Third Battle of Gaza was launched on 1st November 1917. By this time General Sir Edmund Allenby had replaced General Sir Archibald Murray. At the same time three Mark IV tanks had been sent out from Britain to replace tanks that had been destroyed in the earlier actions. So once again the Detachment numbered eight tanks, six of which would go into action while the other two were held in reserve. 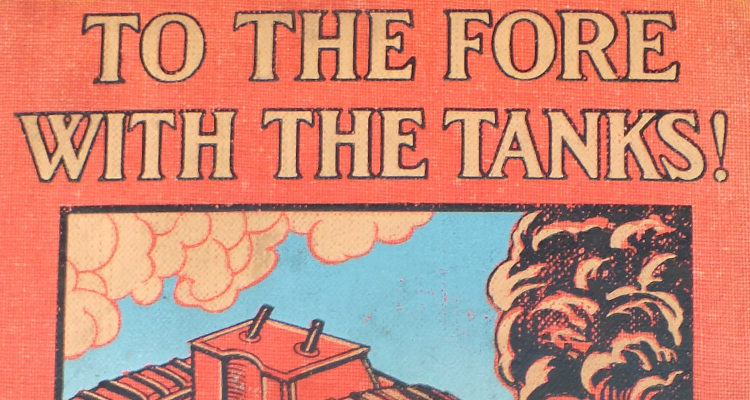 In all, the six tanks were given twenty nine objectives in the battle, which J. F. C. Fuller says ‘foredoomed them to failure’, yet the battle itself was a success. While tanks and infantry attacked on the left to grab Turkish attention, Allenby sent the main force, supported by cavalry, sweeping round to the right through Beersheba and outflanked the defensive position. After this the fighting in Palestine became faster and more open, more suited to cavalry and armoured cars than tanks, which were too slow. In fact they were never used again. 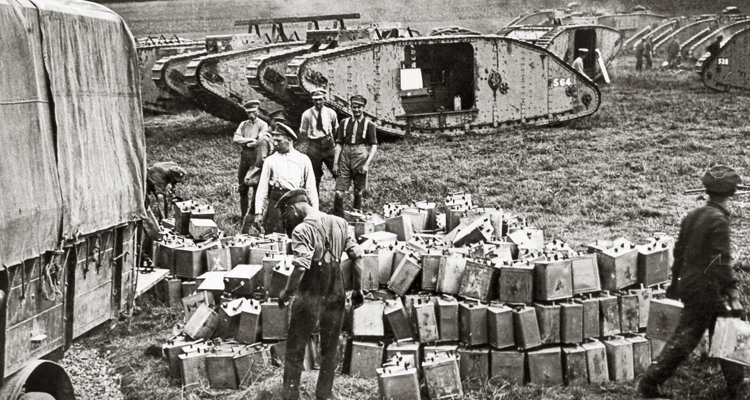 Despite a request for Whippet tanks, the Tank Detachment was disbanded. 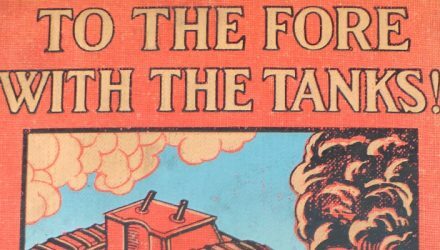 Find out more about tanks in Palestine here and the Palestine Tank Detachment here. For a more in depth examination of the campign in Palestine, or for advice if your ancestor served there, check out one of the books below. 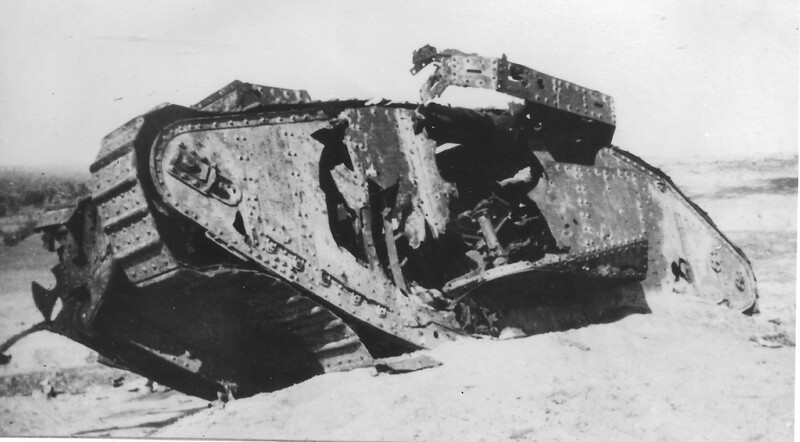 c) War Baby ( Mark I, female ) is shown here destroyed, BUT when and where was this tank destroyed ?